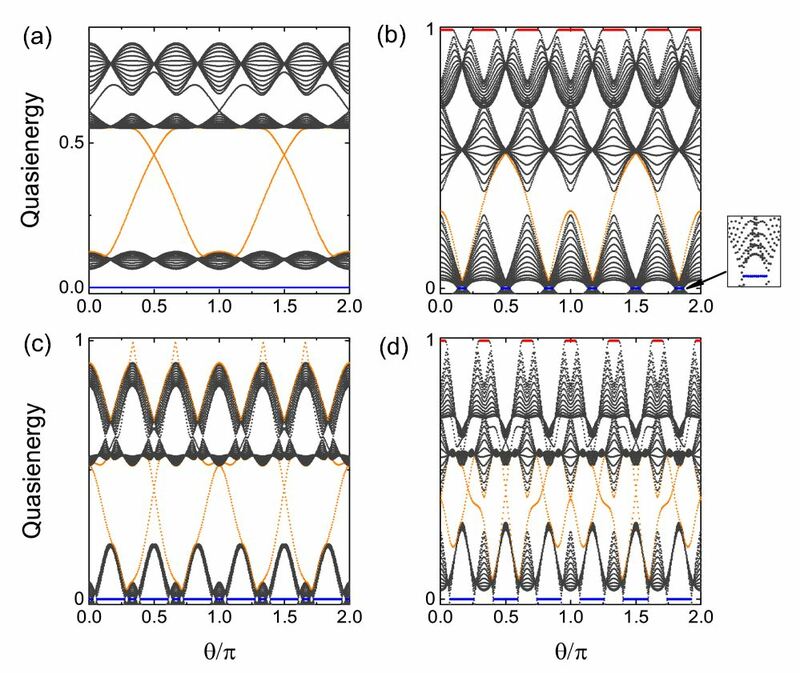 In a recent free-to-read Journal of Physics: Condensed Matter paper, Dr Mengnan Chen and his team studied the kicked Harper-Kitaev model, revealing the coexistence of both Floquet Majorana modes and quantum Hall chiral edge modes at the same sample boundary. Find out more from Dr Chen below. Floquet topological phases have been attracting a great deal of interest in recent years, especially in cold atom systems due to their high tunability. These phases behave quite differently from their static counterparts, which cannot be characterized by the classification scheme for static topological phases. It is well known that the Kitaev model serves as a prototype toy model to realize Majorana fermions, while the Harper model provides an ideal platform to investigate topological phases both in the commensurate and incommensurate cases. In our recent paper we theoretically studied the topological phases and quasi-energy spectra of the kicked Harper-Kitaev model, and proposed a feasible cold atom system to realize our model. Figure: Plot of the Floquet spectra of H(t) versus phase shift theta for different kick strength Vk. Taken from J. Phys. Cond. Mat 29 035601. © IOP Publishing 2016. All rights reserved. We first used Floquet theory to demonstrate the quasi-energy spectra of the kicked Harper-Kitaev model, as figure 1 shows. We found that both Floquet Majorana modes and quantum Hall chiral edge modes could exist at the same sample boundary. By increasing the kicking strength, BdG and Chern gaps undergo closing and reopening, indicating the presence of topological phase transitions. We found the number of chiral edge modes increased, and the Floquet Majorana modes vanished and re-appeared at some given values of theta. We then calculated the Z2 x Z2 indices and Floquet Chern numbers, which explicitly characterize the corresponding topological phases. This work was completed by M N Chen, Feng Mei, W Su, Huai-Qiang Wang, Shi-Liang Zhu, L Sheng and D Y Xing from the National Laboratory of Solid State Microstructures and Department of Physics, Nanjing University, Nanjing, P R China.